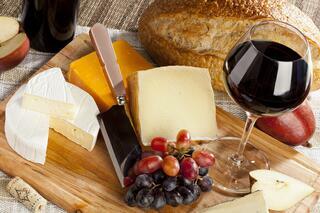 Lighter white wines go well with lighter foods and heavy red wines go well with heavy foods. While the above line is true, opposites also attract. We can’t make the meal for you but we can make the meal memorable. Whether looking to pair your wine to your meal, or your meal to your wine, we’ve got you covered. Stop by your local Haskell’s wine store with your questions. We are always happy to help. Founded in 1934, Haskell’s has championed fine wines for over 80 years. With 13 wine stores in Minnesota, two delis and one restaurant. Haskell’s ships throughout the U.S. and delivers locally. As one of the top wine shops in North America, Haskell’s is known for legendary service and one of the finest collections of wine, beer and spirits. Led by Chairman and CEO Jack Farrell, and the Farrell family, Haskell’s continues to be at the forefront of the wine scene throughout the world.